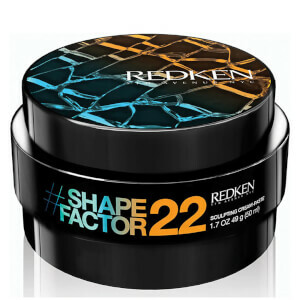 Achieve dishevelled hair in an instant with Redken Styling - Rough Clay (50ml). Designed to give your hair a flexible hold and a matte finish, it will create texture and definition for a true 'bed head' look. Boasting a colour-safe formula, the clay also features UV filters which will protect your hair against environmental aggressors, helping to keep it strong and healthy. - L.M. 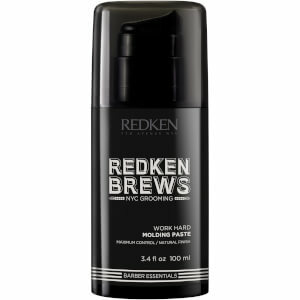 Gives great hold and doesn't feel sticky on hair. Ideal cost. Easy to wash off hands and hair. However hair becomes very greasy if left on over night. For years I was addicted to KMS paste and who would have thought that I would find a better product. But as my hairdresser used this Rough Clay when styling my hair, I immediately knew my KMS days were over: the clay holds better and is non greasy. My hair stays in place the way I want it. All day. I use Rough paste and ordered this instead as it has better hold. 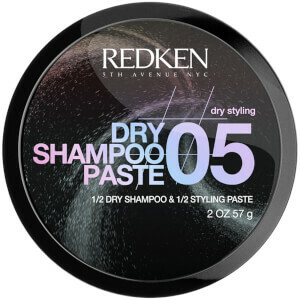 It is softer texture but it dries out my hair real bad and feels brittle. Hold isn't better than Rough paste so was a waste of money! If you have really short hair this could be good. Holds & styles with no trace of grease. Washes out fine. Great product @ a good discounted price. Really good service too. Product is good (not unknown to me). Website is clear and good. The price is very competitive. However the service of the delivery DPD was very poor. Excellent product. Hair doesn't appear greasy which my fiancée loves. Bought this for my husband after him trying numerous products. He is extremely happy with the results and will 100% buy again. He can style his hair with ease, whilst still being able to change it around as the product doesn't set, yet the hair still keeps it's shape all day long. The smallest amount of product is needed, it goes a long way. Having read the reviews, I was looking forward to receiving this product. 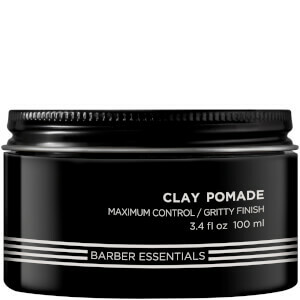 Unfortunately, the clay did not work well in my hair, which is fine but there is plenty of it and with my pompadour style. The clay is really soft and pliable, but consequently it lacks the hold and thickness of some other clays. My hair fell out of place quite quickly. It's smell is a bit non descript, which may be a matter of personal taste, but didn't really suit mine. It does however wash out easily without leaving a residue. Unfortunately, it will probably remain unused on my shelf! My boyfriend loven this clay. It leaves a matt finish and has a goodwill hold.